Boot toppers are not new fashion accessories. 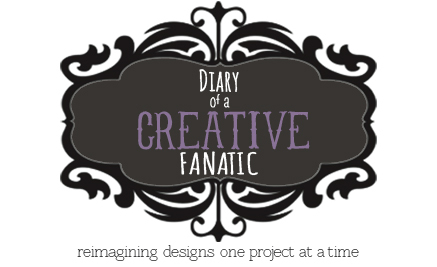 Just when you thought you saw every possible design, along comes a new inspiration. 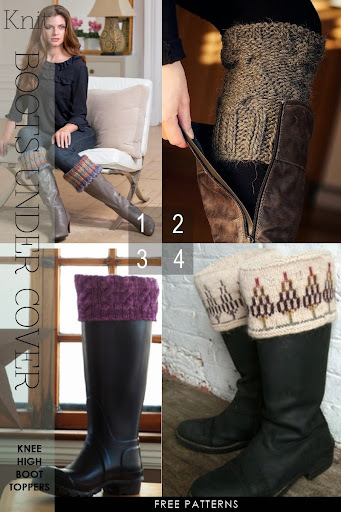 Popular for several seasons now, lace and cable variations have been worn with riding boots. These boot toppers are pint-size versions of the popular leg warmers, still worn today but really came into fashion in the "Flashdance" 80's. Worn with leggings, in neon colours, they were the rage along with big hair, scrunchies and headbands. The leggings we still wear, thank you. Comfort, for me, is key. Booties or shorter boots are everywhere these days and these skinny toppers just don't cut it visually. 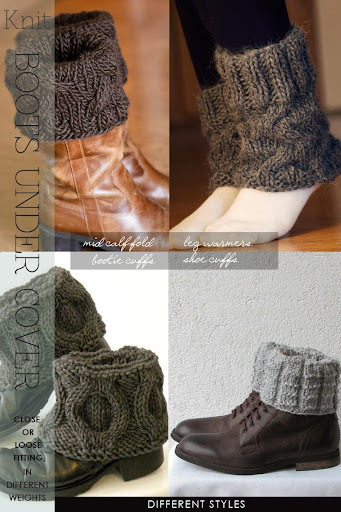 On my hunt for something different, I came across these boot cuffs or spats as they flare out and cover a lot of the boot, both in front and back. Making a few minor adjustments to the traditional boot topper is all it takes. My plan is to make several pairs the colour of the boots and or my skinny jeans. Contrast is lovely but a long leg line is nicer! 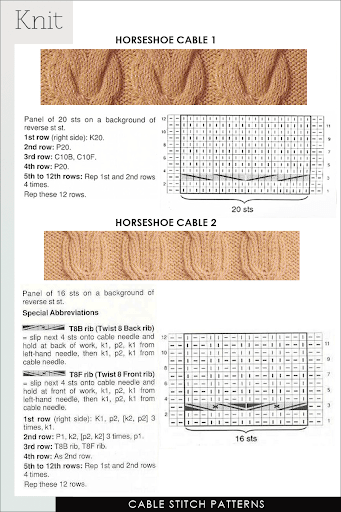 Read further for more ideas of styles, stitch patterns and free patterns to start making your own. The idea of fat cables in the inspiration design is what appealed to me. 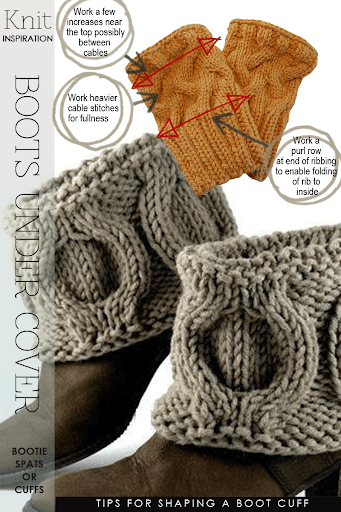 The ridge or purl row allows you to neatly fold the rest inside the boot if it is mid-calf or double fold if the bootie is low. Above are two cables that could be worked with a bulky weight yarn. Another tip would be to make the part that folds to the inside slimmer. One way would be to work a K1,P1 rib instead of a K2,P2 rib. Remember, these free patterns are jumping off points, a guide for adapting the pattern into what you would like to knit and wear. These are also welcome gifts. Get a head start and make a special pair for someone.